Is your organization involved with adaptive and inclusive play and recreation? 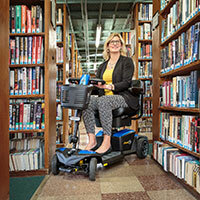 We are seeking YOU to present a new feature at the Abilities Expo shows! Abilities Expo would like to add a new feature to our shows – an adaptive and inclusive play activity area. We are seeking a presenting organization for this feature in each USA city we visit! Offer an adaptive/integrative play experience for attendees at the show. The experience is to be focused towards children 18 and under, but adults should also be welcomed and encouraged to play. The play experience should offer diverse opportunities for different ages, interests, and abilities. The play experience should be designed for fun and open-ended play. 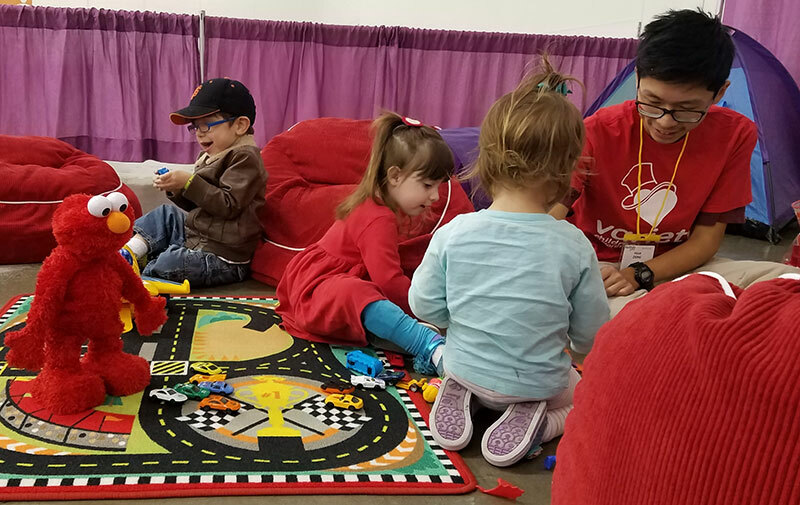 Connect attendees to adaptive play and recreation organizations in each show region. Provide information and resources to adults about the importance of play – for both children and adults. Provide information and resources to adults about how children play, what children learn from play, how parents can facilitate play, and more. Support parents with resources for growing adaptive and inclusive play opportunities in their regions, including adaptive playgrounds. The Play Activity Area will be presented all three days of each show (Friday, Saturday and Sunday). It will be located in a designated area on the show floor. Approximate size will be at least 20' x 20' and some spaces may be larger. This feature activity will be free to all Expo attendees. This opportunity is for companies and organizations that work to expand play and recreation options for people with disabilities. The presenting organization will be recognized as the sponsor for the space in show promotions, on our website, show directory, and signage at the event. Interested in Presenting this Event? One to two paragraphs describing how you propose to organize and present this featured activity at the show. Describe what attendees will see and experience at your play space. Describe how you will meet the diverse needs of attendees, especially age and ability. One paragraph explaining your philosophy about play. One paragraph telling us why your organization is a good choice to present this event. The name, phone number and email address of the primary contact at your organization.